Weekly Photo Challenge: Early Bird | Oh, the Places We See . 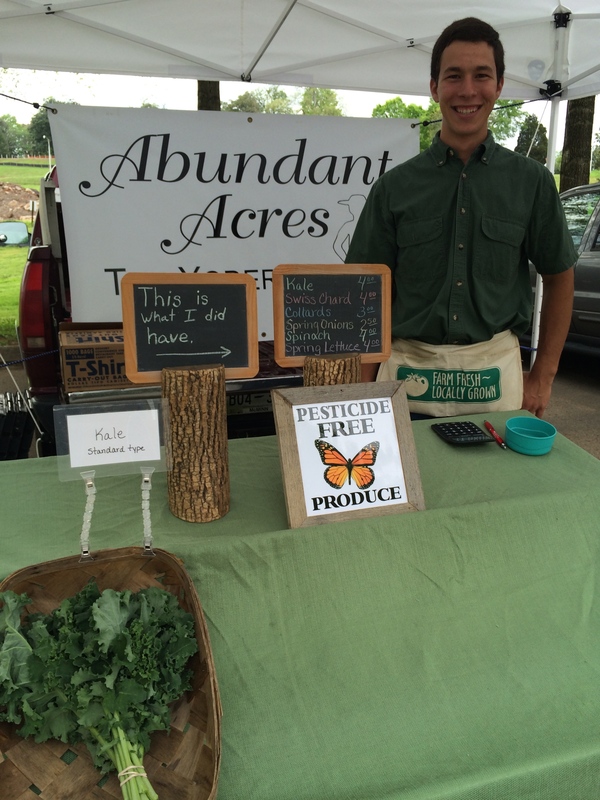 . .
“This is what I had” sign: Abundant Acres tent at Lakeshore Park Farmers Market. You have to get there early! Sad but undaunted, Bert lined up at the tent of VG’s Bakery, quickly grabbing three Toasty Almond Sweet Rolls before someone else did. 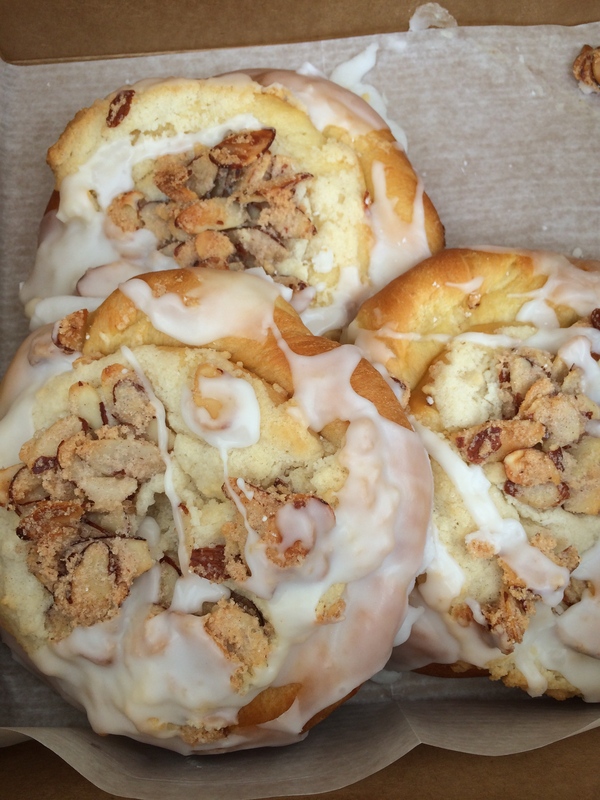 Grabbing the last three Toasty Almond Sweet Rolls from the VG’s Bakery tent. Stuffing one each of the delicacies into our mouths, we perused the other farmers’ wares wondering which one of us would enjoy that third roll with coffee the next morning. But we knew the answer: the early bird, of course. For more entries in the WordPress Weekly Photo Challenge: Early Bird, click here. 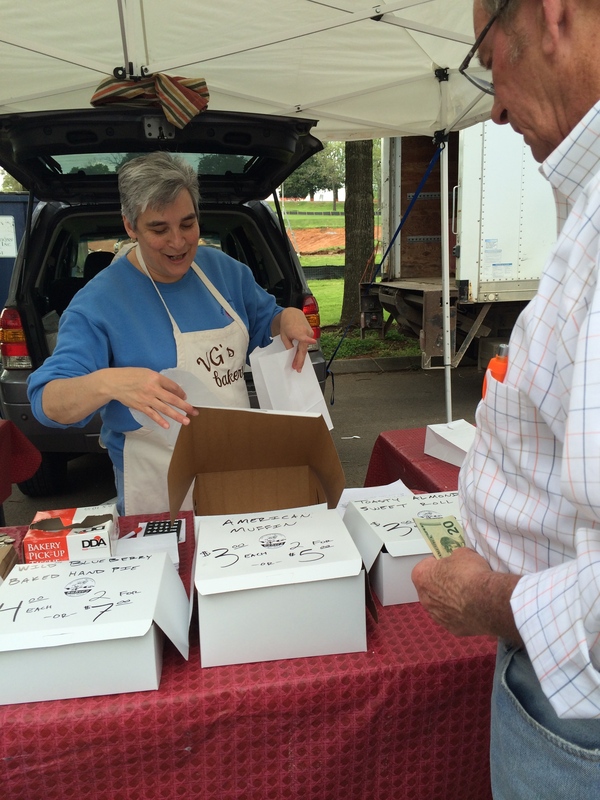 On farmers markets in the Knoxville area including schedules, go to East TN Farm Markets: www.EastTNFarmMarkets.org. On the Yoder family of Abundant Acres, click here. On VG’s Bakery, click here. This entry was posted in Farmers Market, Tennessee, Travel Theme and tagged Abundant Acres, East Tennessee Farm Markets, kale, Lakeshore Park Farmers Market, postaday, sweet rolls, VG's Bakery, Wordpress Weekly Challenge. Bookmark the permalink. You do have a point. And you see which one we chose. After all, there was one bunch of kale still for sale when we got there!